As a prior bride, Alexandra knows the importance of having a minister you can trust to perform your ceremony, your way. You don’t want someone yelling at your grandmother at the rehearsal (yep, that happened), or telling your photographer that they need to take his picture first (yep, that also happened). She has been officiating ceremonies since 2010, when she was asked to officiate the wedding of her law school friend, pictured above. Alexandra is a big believer in making your ceremony as personal and unique as you can. If a sand or candle ceremony don’t sound that great to you, she can help you find ceremony alternatives to make it exactly what you want it to be. Alexandra is also an attorney, admitted to practice law in the state of California, so she knows the importance of making sure everything is handled and executed perfectly! 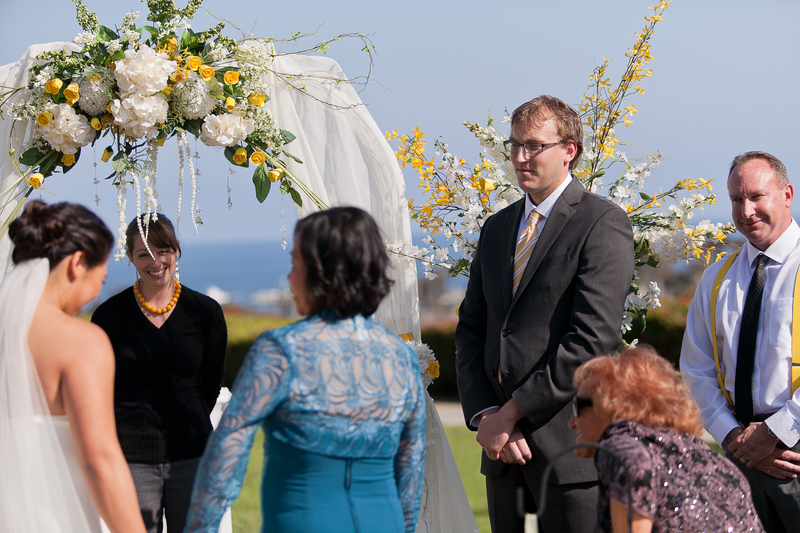 Special thanks to Louis Ng from Lenson Productions for capturing these beautiful ceremonies!